Miss Kentucky Teen and Pre-Teen attend the 5th annual SHINE Disabilities Formal. 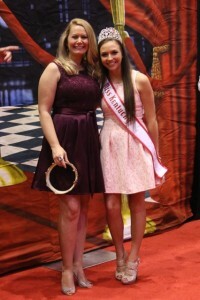 Miss Kentucky Teen and Pre-Teen attend the 5th annual SHINE Disabilities Formal. Miss Kentucky Pre-Teen Landry Feldmeier and Miss Kentucky Teen Becca Osborne were among the celebrity guests on the red carpet for the 5th annual SHINE Disabilities Formal. They had the pleasure of greeting guests who came from miles around to attend this special night for adults with developmental disabilities. The evening allowed for photos, dancing, dinner, games, karaoke, a salon, and a whole lot of fun designed to help make each and every attendee feel special and have a night to SHINE! Each year the event grows and this year was no exception with over 1000 in attendance. Landry and Becca thought it was such a pleasure to see the smiles on everyone’s faces as they truly had a blast! Author Matt LevertonPosted on February 21, 2016 Categories Community Service, kentucky, pictures, Royalty, TeenTags attend, formal, kentucky, nam, namiss, pageant, pageants, pre, SHINE, teenLeave a comment on Miss Kentucky Teen and Pre-Teen attend the 5th annual SHINE Disabilities Formal. Is National American Miss A Beauty Pageant? I get a lot of phones each, some from people who are familiar with our program, others who are not. Over the next few days I am going to post some thoughts about the questions that I get asked the most. Definitely not! You are scored 30% on your Personal Introduction, 30% on Formal Wear Poise and Appearance, 30% on Communications Skills in an Interview, and 10% on Participating in a Community Involvement Project on Pageant Weekend. The community service project is the easiest. Simply bring a stuffed animal or children’s book to pageant weekend and you will receive full credit for the community involvement competition. We will then take all of the books and bears and donate the items to charity. Through this competition we are introducing and reinforcing the concepts of community involvement and volunteer service which we hope will be taken from the pageant and into your community. The personal introduction competition is where each contestant will stand on stage with a microphone and say their name, age, hometown and ambition. Our goal here is for each contestant to feel comfortable on stage delivering a speech. As well all know, public speaking, for most people, is their biggest fear and is one that gets easier the more you practice. The interview is where each contestant will sit down with each judge and they will ask questions to get to know the contestant’s personality. They will not be asking questions that have a right or wrong answer, rather questions that allow each contestant to let her personality shine through. This is a great competition because it allows you to learn the valuable interviewing skills that will be invaluable in the future. The formal wear portion is where each contestant is presented on stage in her formal dress. Here our desire is for each contestant to gain poise, self-confidence and shine on stage. Then take that confidence into their homes, schools and communities. All of these competitions will teach each contestant skills that you will use later in life!! 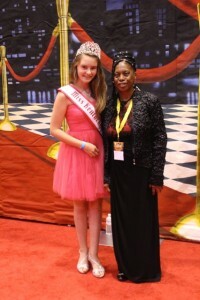 Public speaking and job interviews will be much easier for you after competing in the National American Miss Pageant. To see more and answers to other questions, see our FAQ page. Click here to go there. Author Matt LevertonPosted on January 23, 2009 March 14, 2011 Categories Overall CompetitionsTags american, competition, formal, interview, introduction, namiss, national, national american miss, overall, pageant, pageants, personal, wear2 Comments on Is National American Miss A Beauty Pageant?